The government of the City of Chicago, Illinois is divided into executive and legislative branches. The Mayor of Chicago is the chief executive, elected by general election for a term of four years, with no term limits. The mayor appoints commissioners and other officials who oversee the various departments. In addition to the mayor, Chicago's two other citywide elected officials are the City Clerk and the treasurer. The City Council is the legislative branch and is made up of 50 aldermen, one elected from each ward in the city. The council takes official action through the passage of ordinances and resolutions and approves the city budget. Government priorities and activities are established in a budget ordinance usually adopted each November. Chicago is a special charter municipality. The Journal of the Proceedings of the City Council of the City of Chicago is the official publication of the acts of the City Council. The Municipal Code of Chicago is the codification of Chicago's local ordinances of a general and permanent nature. Chicago is also part of Cook County. The Government of Cook County is primarily composed of the Board of Commissioners, other elected officials such as the Sheriff, State's Attorney, Treasurer, Board of Review, Clerk, Assessor, Recorder, Circuit Court judges and Circuit Court Clerk, as well as numerous other officers and entities. Other municipal agencies within the Government of City of Chicago includes: The Chicago Housing Authority, Chicago Transit Authority and The Metropolitan Pier & Exposition Authority (ubiquitously referred to as "McPier" in reference to The McCormick Place and Chicago's popular tourist attraction Navy Pier). The United States Postal Service operates post offices in Chicago. The main Chicago Post Office is located at 433 West Harrison Street in the Near West Side community area. 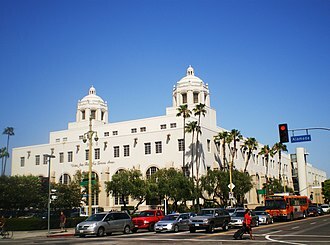 The post office is the only 24-hour post office in the United States. ^ "City Council, Your Ward & Alderman". City of Chicago. Retrieved 13 October 2013. ^ "Chicago Government". City of Chicago. Retrieved 13 October 2013. ^ Mission. City of Chicago. Retrieved on 5 Feb 2011. ^ "Major Office Buildings." Chicago City and Neighborhood Guide. Retrieved on April 17, 2009. ^ "Richard Wright Immortalized on Postage." United States Postal Service. April 8, 2009. Retrieved on April 17, 2009. Chicago History Museum was founded in 1856 to study and interpret Chicagos history. It is located in Lincoln Park at 1601 North Clark Street at the intersection of North Avenue in the Old Town Triangle neighborhood and it was renamed the Chicago History Museum in September 2006. Much of the collection of the Chicago Historical Society was destroyed in the Great Chicago Fire in 1871, but like the city. Among its many documents which were lost in the fire was a copy of the Emancipation Proclamation, after the fire, the Society began collecting new materials, which were stored in a building owned by J. Young Scammon, a prominent lawyer and member of the society. However, the building and new collection were destroyed by fire in 1874. The Chicago Historical Society built a building on the site of its pre-1871 building at 632 North Dearborn Street. This impressively massive Richardsonian Romanesque building remained a nightclub for years until closing in 2014, in 1920, the Society purchased the large history collection of Charles F.
Gunther with the intention of changing its focus from only a research institution into a public museum. Many of the items in Gunthers collection, in addition to Chicago, were related to Abraham Lincoln and these include Lincolns deathbed and several furniture pieces from the room where he died in Petersen House and clothing he and wife Mary Todd Lincoln allegedly wore the evening of his assassination. In 2010 the museum was inducted into the Chicago Gay and Lesbian Hall of Fame, after 36 years in the Henry Ives Cobb structure on North Dearborn Street, the museum and library moved to the current structure in Lincoln Park. The current home of the museum was designed by Graham, Probst & White and constructed in 1932 by the WPA, the 1932 Federal-style structure has been expanded twice. The first addition, clad in limestone, opened in 1972 and was designed by Alfred Shaw and Associates. The second addition, designed by Holabird and Root, was made in 1988, both expansions occurred on the west side of the 1932 structure, leaving intact its original porticoed entrance facing Lincoln Park. The Chicago metropolitan area commands the third-largest media market in the United States after New York City and Los Angeles and the largest inland market. All of the major U. S. television networks have subsidiaries in Chicago, wGN-TV, which is owned by the Tribune Media Company, is carried as WGN America on cable and satellite nationwide. Sun-Times Media Group is headquartered in Chicago, along with the Tribune Media Company, are some the largest owners of newspapers in the country. Journalists, architects, business tycoons, poets, sports teams, criminals and representations are important means by which the city is known and negotiated. During the years of rapid urbanization between 1890 and 1930, numerous daily newspapers presented the most important and pervasive versions of the city, among the significant innovations of Chicagos newspapers in these years that shaped the idea of the city was the emergence of the local color columnist. Groeninger examines the role of columnists in Chicago newspapers in creating a city of the mind. During its first century as a city, Chicago grew at a rate that ranked among the fastest growing in the world. Within the span of forty years, the population grew from slightly under 30,000 to over 1 million by 1890. By the close of the 19th century, Chicago was the fifth largest city in the world, within fifty years of the Great Chicago Fire of 1871, the population had tripled to over 3 million. As of the 2010 United States Census, there were 2,695,598 people and 1,194,337 households residing within the city limits of Chicago, more than half the population of the state of Illinois lives in the Chicago metropolitan area. The 2000 United States Census had shown the population density of the city itself was 12,750.3 people per square mile, there were 1,152,868 housing units at an average density of 5,075.8 per square mile. The median income for a household in the city was $38,625 in 2000, males had a median income of $35,907 versus $30,536 for females. Below the poverty line were 19. 6% of the population and 16. 6% of the families, the racial makeup of the city in 2010 was 32% black,45. 3% white, 5% Asian, and 3% from two or more races. The ethnic makeup of the population is 28% Hispanic and 72% belong to non Hispanic background. In 2000,21. 7% of the population was foreign born, the 2007 community survey for the U. S. Census showed little variation. Chicago has the fifth highest foreign-born population in the United States, Chicago is home to 30,000 natives of Iran. The White and Hispanic communities extend radially outward from the center of the city, Chicago has a large Irish American population, with many still residing on the South Side. The early years of Chicago coincided with the significant rise in Irish immigration in the 1830s and 1840s, some Irish already lived in Chicago when it was incorporated as a city in 1837. In the next few years Irish numbers grew rapidly, particularly after the arrival of refugees from the Great Famine, by 1850 Irish immigrants accounted for about one-fifth of the citys population. Many of the politicians are descendants of this group, including previous mayor Richard M.
Chicago City Hall is the official seat of government of the City of Chicago in Illinois, United States. Adjacent to the Richard J. Daley Center and the James R, the buildings east side is devoted to the various offices of Cook County. Situated on a city block bounded by Randolph, LaSalle and Clark streets, the building was officially dedicated on February 27,1911. Chicago City Halls entrance features four relief panels sculpted in granite by John Flanagan, each of the panels represents one of four principal concerns of city government, schools and water supply. As visitors enter the building, they are greeted with elaborate marble stairways, the first major renovation project undertaken was in 1967 as major city departments, originally located outside Chicago City Hall, were moved in. Although the rooftop is not normally accessible to the public, it is accessible from 33 taller buildings in the area. The Garden consists of 20,000 plants of more than 150 species, including shrubs, the green roof design team was headed by the Chicago area firm Conservation Design Forum in conjunction with noted green architect William McDonough. The Cook County Sheriffs Office is the principal law enforcement agency that serves Cook County, Illinois. It is the second largest sheriffs department in the United States and it is headed by the Sheriff of Cook County, currently Thomas Dart. All Cook County Sheriffs Deputies are Sworn and Illinois Certified Peace Officers with full power of arrest. Cook County has additional police departments that are not the responsibility of the sheriff and these include the Cook County Forest Preserve District Police and Cook County Hospital Police. The Cook County Sheriffs Office is carved into several divisions, approximately 109,000 people live in unincorporated communities within Cook County among the countys 5.3 million total population. The Cook County Sheriffs Police Academy trains police recruits within the department as well as those from suburban agencies, the Cook County Sheriffs Department of Corrections is one of the largest single-site pre-trial holding facilities in the world. Deputy Sheriffs assigned to Department of Corrections are responsible for the security of more than 9,000 detainees, in addition, the boot camp features an eight-month-long post-detention supervision program where participants must return to the boot camp on a daily basis to continue educational programming. The Central Warrant Unit is responsible for the apprehension of fugitives wanted on warrants for offenses ranging from contempt of court for failure to pay support to escape. This unit works closely with the United States Marshals Great Lakes Task Force and is responsible for extradition of offenders from outside the Cook County area. This unit is responsible for investigative services within corrections and court facilities and is featured in the MSNBC television series The Squeeze. The Department of Womens Justice Services administers gender responsive drug treatment programs for female offenders, the Jail Diversion and Crime Prevention Division was designed to make the Cook County Sheriff’s Office more useful and accessible to residents. It operates many vital preventive and educational programs that municipalities, programs include DUI and distracted driving prevention, graffiti removal, New Path speakers series, and the SMART program. The Office Of Professional Review investigates allegations of misconduct within the sheriffs office, the Court Services Division provides security for all courtrooms and other government officials as well as prisoners being tried. The Mayor of Chicago is the chief executive of Chicago, the third-largest city in the United States. During meetings of the City Council, the Mayor serves as the officer of the City Council. The Mayor submits proposals and recommendations to the City Council of his own accord, the mayor appoints the Commissioner of the Chicago Fire Department and Superintendent of the Chicago Police Department. He or she appoints the heads of city departments, the largest of which are the Water Management Department. The Chicago City Clerk and City Treasurer are elected separately, as are the 50 aldermen who form the City Council, the mayor is empowered, however, to fill vacancies in any of these 52 elected offices by appointment. In turn, the City Council elects one of its own to fill a mayoral vacancy, the Mayor of Chicago is elected by popular vote every four years, on the last Tuesday in February. A run-off election, in the event that no candidate more than fifty percent of the vote, is held on the first Tuesday in April. The election is held on a non-partisan basis, Chicago is the largest city in the United States not to limit the term of service for its mayor. In the absence of the Mayor during meetings of the City Council, the President Pro Tempore of the City Council, unlike the Mayor, the President Pro Tempore can vote on all legislative matters. The first mayor was William Butler Ogden, two sets of father and son have been elected Mayor of Chicago, Carter Harrison, Sr. and Carter Harrison, Jr. as well as Richard J. Daley and Richard M. Daley. Carter Harrison, Jr. was the first mayor to have been born within city limits, the first and only woman to hold the office was Jane Byrne. The first black mayor was Harold Washington, as an interim mayor, David Duvall Orr had the shortest mayoral term. Richard M. Daley was originally elected in 1989 and re-elected for the time in 2007. In September 2010, Daley announced that he would not seek reelection for a term as mayor. On December 26,2010, Daley became Chicagos longest-serving mayor, Rahm Emanuel is the current mayor, having won the 2011 election with 55% of the vote to 25% for his closest opponent, Gery Chico. 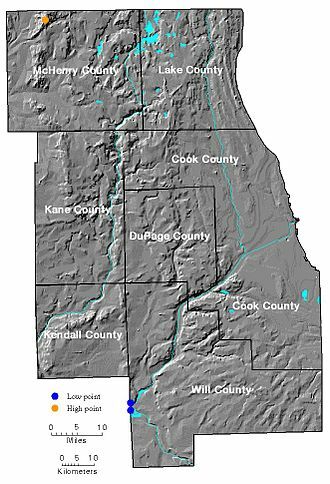 The Chicago City Council is the legislative branch of the government of the City of Chicago in Illinois. It consists of 50 aldermen elected from 50 wards to serve four-year terms, the Chicago City Council is gaveled into session regularly to consider ordinances and resolutions whose subject matter includes traffic code changes, utilities and many other issues. The presiding officer of the Chicago City Council is the Mayor of Chicago, the secretary is the City Clerk of Chicago. Both positions are elected offices. 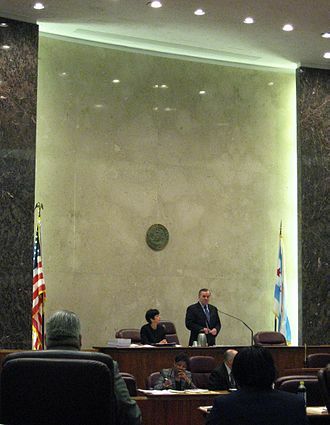 The Chicago City Council Chambers are located in Chicago City Hall, located in the building are the downtown offices of the individual aldermen and staff. Chicago has been divided into wards since 1837, beginning with 6 wards, until 1923, each ward elected two members to the city council. 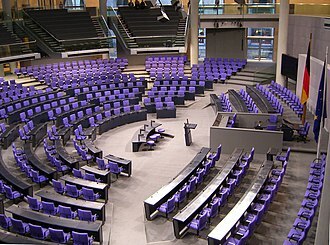 In 1923, the system exists today was adopted with 50 wards. In accordance with Illinois state law, ward borders must be shifted after every federal census and this law is intended to give the population of the ward equal representation based by the size of the population of Chicago. Chicago is unusual among major United States cities in the number of wards and it has been noted that the current ward system promotes diverse ethnic and cultural representation on the city council. Chicago City Council Chambers has long been the center of corruption in Chicago. 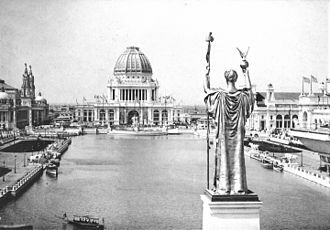 The first conviction of Chicago aldermen and Cook County Commissioners for accepting bribes to rig a crooked contract occurred in 1869, between 1972 and 1999,26 current or former Chicago aldermen were convicted for official corruption. Between 1973 and 2012,31 aldermen were convicted of corruption, approximately 100 aldermen served in that period, which is a conviction rate of about one-third. Chicago City Council committees violated the Illinois Open Meetings Act and their own rules by meeting and taking actions without a quorum at least four times over the same four-month span, less than half of the Councils 28 committees met more than six times in 1986. The budget for Council committees was $5.3 million in 1986, over half of elected Chicago aldermen took illegal campaign contributions totalling $282,000 in 2013. It existed from October 30,1989, to October 29,1999. The CHAPD was envisioned by Vince Lane, who had served as Chairman, during a television interview, Lane recalled how as a child he marveled at how well kept public housing was and remembered being envious of the conveniences residents enjoyed. Ensuring that his plan came to fruition did not come without obstacles, since public housing was spread throughout various neighborhoods and local suburbs, the CHAPD was endowed with a broader jurisdiction. 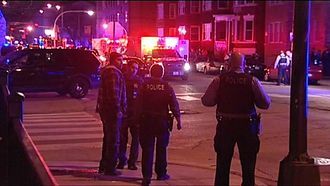 Previously the federal government paid the City of Chicago 13 million dollars a year for extra patrols to provide protection for the residents of the CHA. 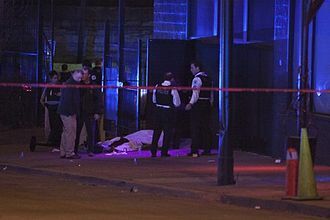 The city posted CPD units within the building at 365 W. Oak Street for and 4848 S, State Street for almost twenty years prior to the coming of housing’s own police. CHAPDs first station was located at 4947 S, federal Street in CPDs 2nd District, which was known as the Deuce. There was a line of leaders who served as chief from the departments beginnings in March 1989 until October 1999, as the Department grew. Gary Gunther was named as CHAPDs first Chief of Police and was a retiree from the Illinois State Police and he was quickly followed by Madren Anderson, who was a District Commander for CPDs 2nd District, and Ira Harris. Both Gunthers and Andersons reigns ended before the first class of police hit the street, Harris served as chief until October 1991 and it was on his watch that CHAPD lost their only officer in the line of duty. Harris was succeeded by Hosea Crossley, who served from October 1991 to February 1994, although Hosey was respected and favored by his subordinates, he was in constant conflict with the Local Advisory Council over officer safety issues. Joe P. Mayo, Commander of CPDs Youth Division, served as Interim Chief from February 1994 to April 1994, Murray, a major with the Illinois State Police, took leave to become head of the CHAPD, was chief from April 1994 to November 1996. Murray established the Internal Investigations Unit and Youth Division within the CHAPD with Mayos assistance and he expanded the C. O. P. S program by working with key leaders in the CHA which made a difference in improving community policing. A. R. E.
Chicago firefighters responding to a call on Michigan Ave. wearing pre-2006 turnout gear. Harsh Apartments in the North Kenwood-Oakland neighborhood. Lake Parc Place apartments high-rise buildings undergoing renovation. Judge Slater Apartments in the Bronzeville neighborhood. Altgeld Gardens Homes housing project in Riverdale, Illinois. A CHAP officer on mobile patrol in the Robert Taylor Homes on the south side.